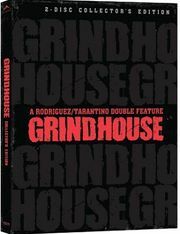 Difference between revisions of "Grindhouse DVD"
''Note'': Grindhouse was the theatrical release of Planet Terror and Death Proof in the USA, it has so far only been released in Japan and Canada, it is released also in the US and Canada [[Grindhouse BluRay|mainly on BluRay]]. * Disc 1: Grindhouse (Kinoversion). 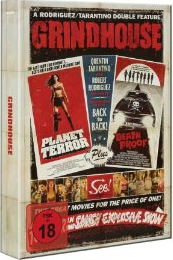 Note: Grindhouse was the theatrical release of Planet Terror and Death Proof in the USA, it has so far only been released in Japan and Canada, it is released also in the US and Canada mainly on BluRay. This page was last edited on 6 December 2017, at 19:49.